How do I post my environmental product/service/solution? You can post an ad having an account profile to our site. Please click on PUBLISH NEW and follow the system. 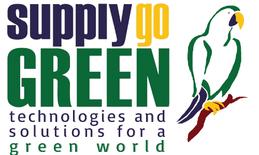 SUPPLYgoGREEN was made to be easy, friendly, and that you have control about what you post, as edit, visits, contacts, delete and so on. Please log in to your account, then you can edit your ad (s). It depends which plan you have choose. We offer ONE YEAR or TWO YEARS plan. Considering the date of your inserted ad, after 12 months or 24 months, your ad will be expired. Do not worry: before it happens, we will contact you per email and ask if you wish to extend it. Having no response from your side, the ad will be automatically deleted. Using your profile account, you can delete your ad anytime from your account homepage. However, we do not offer any part-time online commercial plan. We offer two options: 12 months or 24 months, once it is published. WE DO NOT REFUND ANY AD ONCE IT WAS PUBLISHED (but you can delete it anytime). The system will contact you automatically to repost. The system will offer you this option, which we recommended it because of viewing statistics of your ad. New ad means start from zero. Published ads carry viewings statistics. How often can I post an ad? You can post an ad anytime. Once you have your profile account, you are able to insert as many ads as you wish. You will be the manager of all of them. We do not have any price campaign for bundle ads. Can I post my ad anonymously? No. Our administration team is controlling and approving each inserted ad before publishing it. It avoids spams, false profiles and false ads. It could happen anytime, therefore once we realized something wrong, we will delete the respective ad immediately. Can I add pictures and images to my ad? Yes. You can use HTML tags and URLs and you have an option while inserting them to link it. What kind of ads are prohibited? Can I report a ad as inappropriate? By clicking the button REPORT THIS AD, the platform will be redirected you to the contact page, where Subject and Message are already filled with the necessary text. An email will be sent to the administrator of the website in order to review the reported ad. Can I put a link in my ad for sale posting ad pointing to an auction site like eBay or any other?